Well the question what is this mission????? After you get the answer you maybe amazed or get paralyzed by excitement!!!!! How is this possible ???????? 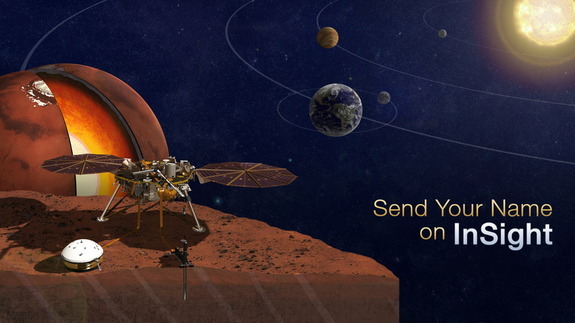 Well NASA is holding a campaign know as Fly Your Name in which the Insight Spacecraft will Fly Your Name to mars. Now are you imagining how the spacecraft can Fly Your NAME???? Well the answer is simple if you know what is a silicon micro chip (if you don't know visit the link https://en.wikipedia.org/wiki/Integrated_circuit) so now you know what is a silicon chip, Nasa is goning to write the names on the silicon chip which going to placed in the spacecraft. NASA did the same thing last year NASA's Orion spacecraft in which almost 1.38 million people participated. The fly-your-name opportunity also comes with “frequent flier” points to reflect an individual's personal participation in NASA’s journey to Mars, which will span multiple missions and multiple decades. So go vist http://mars.nasa.gov/participate/send-your-name/insight/ and register so that you get your name on mars. 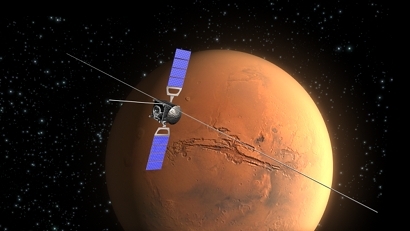 InSight will launch from Vandenberg Air Force Base, California in March 2016 and land on Mars Sept. 28, 2016. Guys please share this with your friends like and share your opinion in the comment box, and also check out our new post.